Valentine, Nebraska’s largest event takes place every February, right here on Main Street. It’s called The Bull Bash. This community staple is for all ages— young and old— whether one is interested in bulls or not. This annual event has been a great way to learn updates of the industry, as well as the great local people who keep our community active here in Valentine. At the Niobrara Lodge, we witness the event from just a few hundred yards down C. Street (Highway 20). Either you’ve heard of the Bull Bash and know exactly what it entails, or perhaps you’re interest has been spurred. The Bull Bash is a time when Valentine’s vibrancy is at a peak (aside from maybe Valentine’s Day itself, a few days later). Let’s dive into the event! 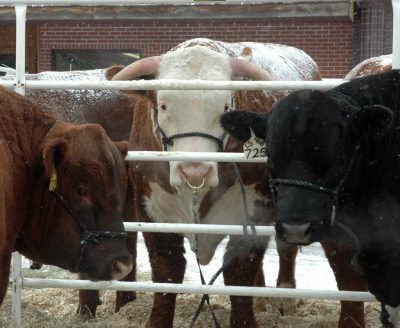 The Bull Bash kicked off in the early 2000s, with this year’s rendition serving as the 18th Annual. It continues to grow in popularity with locals and new faces alike. No matter if you live close, or are visiting Valentine for the first time—being a tourist in each and every community gives an experience unlike any other. 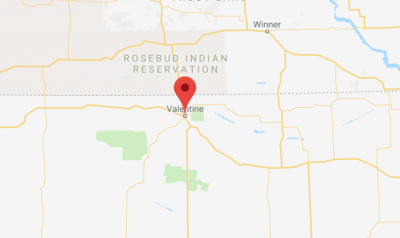 Valentine’s population is a little over 2700 people, however, it expands much further due to the strong rural ties in our area. We’re the largest town within a 100-mile radius, so the town serves as a hub, especially in early February every year. In 2019, there were 16 bull producers from South Dakota, Minnesota and Nebraska who proudly displayed livestock as well as commercial displays. Over 80 participants attended the local Livestock Judging Contest at the Valentine Livestock Auction yards. The cold months of winter allow the ranchers and farmers more flexibility as they prepare for the upcoming warm season. Local businesses (especially in smaller communities) tend to see slower sales after the holiday months and as winter drags on. The Bull Bash has become a valuable event for local fundraising efforts and economic impact, as this year it helped The Local Cancer Fund and Cherry County 4-H Programs. Downtown business offered specials at their locations too. Sadly, the 2019 event has come and gone. That doesn’t mean that you can’t look forward to the 19th Annual Bull Bash! To learn more about the event, visit their website at Bullbash.net or check them out on their Facebook page. We’d love to have you stay with us for the big event and to show you how Valentine is going to put together another great event. We know winter months are always cold around here in February, but it is worth the visit. When someone says the word “diversity,” what comes to mind? People, culture, you name it – there are numerous aspects of our lives where we are thinking about what makes something special. Here in Valentine, however, diversity takes on a new meaning. We are talking about outdoor adventures. We are talking about exploration. We are talking about the Middle of Nowhere. 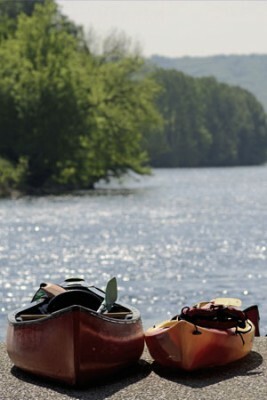 Valentine is home to countless outdoor excursions – hunting, fishing, golfing, camping, you name it. And how could we forget to mention the illustrious Niobrara River? Our little slice of paradise provides you with the opportunity to escape, unwind and explore some breath taking outdoor activities. Affectionately known as the Heart City, we at The Niobrara Lodge would like to be the first to welcome you to a place that is close to adventure, yet miles from ordinary. For guest updates, promotions, VIP events, news and more! Copyright © 2018 The Niobrara Lodge. All Rights Reserved.